Lira- The tourism fraternity has converged in Lira town to mark World Tourism Day today. Celebrated globally, World Tourism Day is meant to raise awareness of the importance of tourism. The theme this year is “One billion tourists, one billion opportunities.” It is aimed at creating awareness of tourism power to drive inclusive development, create jobs and build the sustainable societies for the future. “We are going round creating tourism districts but specifically settled for Lira town which is the worst in tourism preparedness, tourism development and getting visitors,” said John Ssempebwa, the deputy Chief Executive Officer of Uganda Tourism Board (UTB). The body’s strategy is to decentralise tourism. 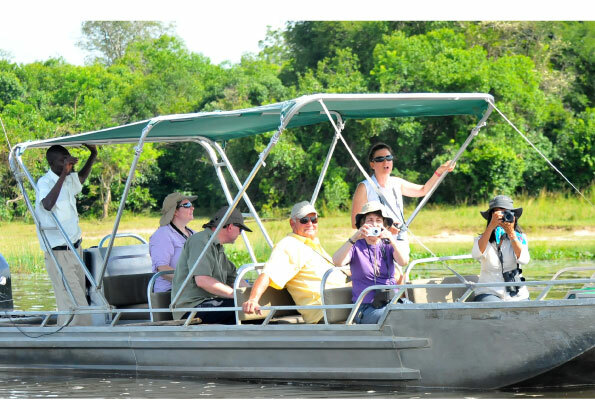 This will be an opportunity to show the tourism potential in the northern region. As part of the festivities, a week long exhibition of arts and tourism in Uganda was held at Lira Golf Course grounds, as well as discounted drives to Murchison Falls National Park. Raymond Engena, the director of tourism and business services at Uganda Wild Life Authority (UWA), said: “The drive was a directive intended to show the locals that tourism is not just for foreigners. There are so many wonderful places to visit in this country and this was just one of the ways of showing these people that they can always go there at their convenient time and at a cheaper cost”. Yesterday, a live tourism concert was held at Lira Hotel to climax the festivities where local artistes such as Cindy Sanyu, Captain Ice, Holy Demsan, Mzee B of 2Stars and Lango traditional dancers put up energetic performances. Uganda’s monetary policy statement for August 2014 indicated that the tourism sector raked in $ 1.4b (about Shs5 trillion) in the 2013/14 financial year up from $1.1bn (about Shs4.2 trillion) the previous year, eclipsing remittances which fetched $800m (about Shs3b) and coffee which came third with $415m (about Shs1.5b). Among some of the problems the tourism sector continues to face include poor service delivery, high transport costs, high rate charges in some of the accommodation facilitates, limited marketing due to inadequate funding, high competition from the neighboring countries and inadequate physical infrastructure for internal flights. “The situation is still bad. We still have a lot to work on as a country,” Bosco Opio, a tour operator states. Despite of the several challenges the country continues to face in the tourism sector, Opio believes that the concerned authorities should first work hard at changing the country’s image out there. “Some of the tourists think about this country in terms of disease, corruption, war and Idi Amin. It is not fair to us,” he argues. Opio says our country should not be known for such issues but rather in terms of the wonderful things she has to offer. This entry was posted in Uncategorized and tagged tourism in Uganda, tourism sector, uganda, Uganda Tourism Board, Uganda Wild Life Authority, World Tourism Day. Bookmark the permalink.